Bella Swan, has a the #1 boyfriend, head chearleader, A student and future to become a fashion designer. Well all thats about to change because...she pregnant. If I knew that morning the most important phone call I recieved would be from my husband.... the last time I heard his voice, then I would have made it count. Stories that I am currently reading ... This list can change daily! Stories that I was reading that haven't been updated in over 6 months. WIP stories that I am reading. Summary: Completed stories that have Dom/sub elements to read. A list of my all time favorite stories. 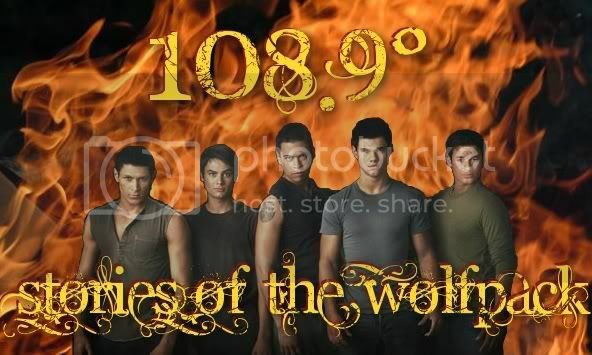 This series is set after New moon in an alternate universe. AU, Bella x Edward, Bella was taken by James and held captive for weeks. She returns home with a special gift. Who was her mysterious savior and what is the cause of her new powers? Will she find the answers she needs in her new home in Forks? Bella is a fractured girl with a life-threatening eating disorder. Her whole life changes when she meets Edward Masen. Warning- child abuse and dark themes. Stories written by butterflybetty that I want to read. The stories, whose updates can't come fast enough. Carlisle and Esme are the foundation of the Cullen coven. Though this series, view key events from the Twilight saga through their POV. This series was written as a complimentary piece to my story Carlisle and Esme: How the Love Story Began. However, each one-shot was written to stand alone. New entries to be added on an on-going basis. All Human. Edward had been in love with Bella ever since his rambunctious Border Collie attempted to ingest her cat. It had begun the war. Now they're grown and getting married. He's a veterinarian and she's a massage therapist. It's a madhouse. E/B AH episodic romance. Defies a genre: some angst, some comedy. Covering some of the holidays from Christmas 2018 to Thanksgiving 2019 While Carlisle & Bella live HEA, the other not so much. This was their own doing so why are they complaining? Follow Jasper and Edward as they journey through life over coming struggles, and learning to accept that not everything is within their control. Finally join the boys as they finally believe they've found the quiet life they so desire, only to have it rudely interrupted. This series is for my LOTR/HOBBIT crossovers, changed event's and what not. Some of the stories will tie together, others completely different. I will state as much. Bella sees ghosts. She hates it, and, truth be told, she's so scared of them she sleeps in her bedroom closet. But ghosts are afraid of vampires. What happens when Bella and Edward meet? Regency Period - a time of constricted morals and dire consequences. However, the human heart doesn't understand the demands of a society bent on denying the importance of pursuing happiness. There is always a price to pay. Are you ready to risk everything? A romance between gentlemen, an obsessed villain and a woman meant for more than an arranged marriage. Rose and Alice have been together for two years when Bella becomes their new roomate. Read how Bella has her first homosexual relationship, the girls deal with critising parents and siblings with anger management issues, Bella takes her first trip to an adult toy store and many more fun, painful, hilarious and at times emotional moments come to pass in the lives of our three favourite girls. WARNING: This story will contain Femslash with graphic lemons. A series of three One-Shots in Bella, Jasper and Emmett's P.O.V's. Bella and Caius' ups and down. This is Darkward's Angelfire here, welcome to Darkward's Dudgeon Of Non Canon & Canon. Do you love Jasper and Bella together? Or Emmett and Bella? Then this is the place for you to come and hang out me and my two sisters will welcome your Fav FF's in open arms, there is a few things though I would like to say. ALL FF's ,must be either spelled correctly and grammar is better than an average 2ND grader also all ff is read by me and my two sisters before going on here, so no fears. This is the Deadly Secrets Series based around Bella Swan and Caius Lawson-Brown. There are currently only two stories in the series, plus a Caius POV. One Secret Too Many - After the death of her father, Charlie, Bella is forced to return to Forks after escaping it's clutches five years previously. When she arrives all her past comes back to haunt and torment her and she flees once more. But on her journey she stumbles across Casino owner Caius, who has just as many dark secrets as she does. Now it is a race against time for both of them, to escape their pasts and build a future. But it really isn't that easy. Gambling with Secret and Lies - With the past buried for good, Caius and Bella look to the future together, but it is not with out consquences. Is Caius really the man he claims to Bella to be? or is he just as caught up in the lies of others that not even he knows what is real and what is a lie anymore. But hen something and someone goes missing. The past is dragged up again. Will Caius and Bella ever get their happily ever after, or were they doomed from the start? In My Darkest Hour - Caius POV of One Secret Too Many! This series consists of my story "Descent" and its sequel story "To Reign In Hell." This is a very dark Twilight AU, taking place pre-canon when Carlisle lived with the Volturi. Can an angel fall? See for yourself. But be warned, light and fluffy this is not! Bella's life changed once when she moved to Washington. It changed more when she went on a trip to New Orleans. Arriving with a vampire caught the attention of one too many, and one in particular. It was destiny when they met, though not fully according to design. Fate is Tempted when more humans than normal start to go missing. Then, the Cosmos themselves break when the responsible are caught. If you know of any stories that you think would fit in the series please message me. Stories that I want to read that are stories that are Completed. Stories that i want to read that are completed or are being worked on. ... after so many positive reviews and recommendations these are stories I have on my must read list. Collection of Stories I need to mark before they are lost among the sea of good stories. my version of twilight only bella ends up with jacob. Does what it says on the tin! 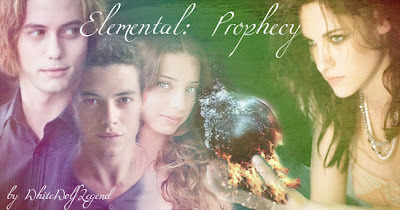 This is the Elemental series, Human Elemental being book one of the series and Elemental: Prophecy, the sequel which is still being written. There will be a few O/S later on when EP is finished of the other pairings. 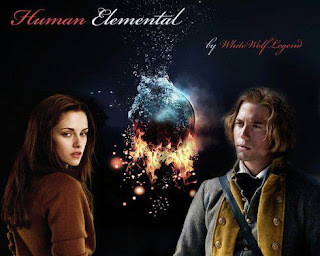 Bella is the last of her kind, Elementals were hunted long ago by the Volturi and killed off for the power they possesed. Follow as Bella reaquaints with Jasper again, fall in love, make new friends and struggle through the hardships being an elemental brings. These are stories in which Emmett Cullen is the main character. Not a background character. Fics focusing on the entertainment industry (music, film, television). Give us Hollywood, NYC, anything related to "The Industry." Finding What Was Lost and It's sequel When In Paris. Stories that i have finished. This writing contest is brought to you by the Fan Fiction Writers of the South on Facebook. The stories must be about or take place in the South. That is the only limitation of scope. Minimum of 2,500 words to a maximum of 5,000 words. There is no end to the colorful and interesting people contained South of the Mason-Dixon Line. If you want some suggestions, please contact Dinia Steel. --The South Atlantic States: Florida, Georgia, Maryland, North Carolina, South Carolina, Virginia, West Virginia, and Delaware. -- The East South Central States: Alabama, Kentucky, Mississippi and Tennessee. --The West South Central States: Arkansas, Louisiana, Oklahoma, and Texas. This is a "blind entry" contest, meaning that only the Secret Keeper will know who the entrants are until after the Judges have voted. Entries will be due between October 20-November 21 and winners will be announced on December 8th. As with the 2013 Edition of the contest, there will be cash awards for the first 3 winners. Starts with Bella, follows mainly Jasper, then the Cullens and lastly Bella again, from the 'First Sight' part of Twilight, becoming AU until the final meeting several years later, for Bella and Jasper. I have a weakness for Twilight fanfics.... and this is my method of putting them in some kinda list form.... meh. im looking for a story where bella and edward are in a church. bella sees someone in the shadows and wraps her arms around edward graps his gun and shoots the guy. does anybody knows what story this is?? rnTen years after leaving high school, Emmett McCarty returns for the ten yearrnclass reunion. Is he ready to face his old class mates once again, includingrnhis high school crush? Slash pairings. Rated M for a reason. Contest entry forrnDirty Talkin' Edward Contest. Edward and Jasper are members of NYPD SWAT, and are in love. When they get involved in a rival gang war, a skeleton comes out of the closet that neither are prepared for. Will they survive? M/M Pairing. Rated NC17 for mature themes, language and male love. This series will only have stories or one-shots of Twilight characters. However, the seires will be all-human. Edward and Bella are the promient characters of the stories, but there will be stories that don't include them. When Bella agreed to go in for some last minute Christmas shopping with her sister Alice, little did she know that sitting on Santa's Lap would bring her the fun and excitement that she craved. Will she be naughty or nice? Christmas One-shot. Contains my main story Dealing With the Kangaroo, along with the several outtakes from secondaray characters' point of view such as Charlie or Seth. 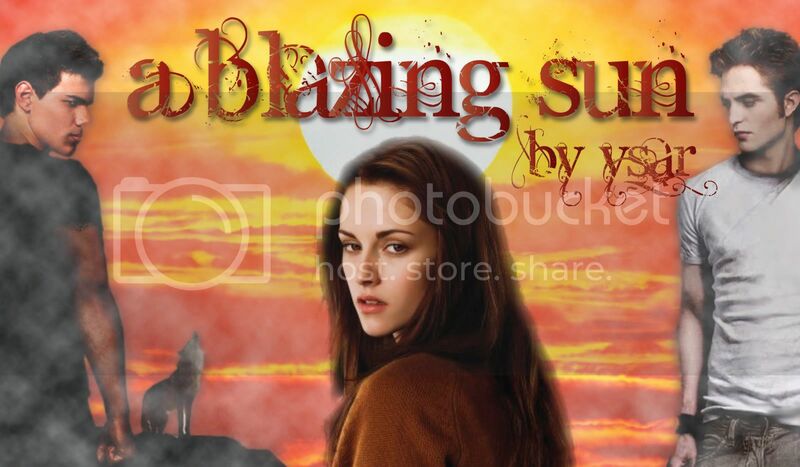 A series of stories where Bella Swans Chooses Jacob Black to be with for the rest of her natural born life. This is a compilation of all the stories that I've read so far in TWCS so far. I hope you like it! Completed works that I need to read!! My series : every completed readings that I enjoyed so much... They even keep me up throught the night ! Lol My favorits !! My series : every completed readings that I enjoyed so much... They even keep me up throught the night ! Lol My favorites !! Completed Stories that I have read and recommend for you to read. Stories that are not complete and have not been updated in 2012. A week after the departure of Edward, Charlie dies in a car accident. Devastated, Bella embarks on a cliff to jump. However, it fails to it because it is Laurent and wants to kill her. At the last moment, wolves save Bella. It becomes a vampire. 3 months later the Cullens come to Forks to see what Bella. Unfortunately, they learn that a newborn vampire prowling the mountains. There waiting for their big surprise.Edward is trying to help the girl, but she rejects him. Bella accepts everyone, except him and Alice, who broke up with Jasper and began to walk with Edward. Is Jazz find a girl the love of your life? Look reading! Stories I want to read and stories I love! Bella Swan is an orphan. She has nothing from her parents apart from a golden bracelet, and a box she was given on her seventeenth birthday. Lately, she started having strange dreams and noticed that her body is changing. Can things be any more confusing? Yes, they can be! After Bella finds out the truth about her family, and herself, they make a decision... they want to make a fresh start all together, so they move -along with the Cullen family- to Mystic Falls. What is going to happen when they'll meet this small town's citizens? And what if they have their own secrets? These are all stoires that i want to read. Completed stories that I already read. All of the TWCS stories I would like to read. Can Edward and Bella survive the intrusion of a friend who wants more than friendship? Who is out to take him? Threatening black roses says it all - "He's mine!" These are stories written by my husband to make fun of me and my canon. He has his own following. I take no responsibility for the crazy. LOLOL! 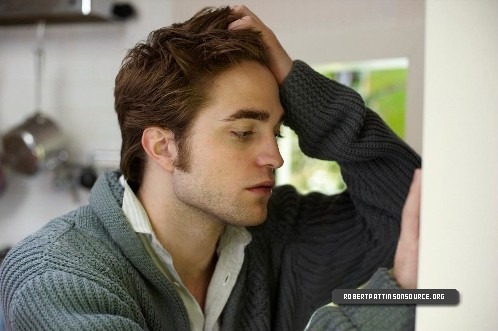 In this Edward Bella story things are a little backwards. Bella arrived in Forks before the Cullens. Edward is not a student but a teacher. Mr Cullen has very little angst, but a whole lot of fun. Told mostly in EPOV.